Who Are Soul paintings for? 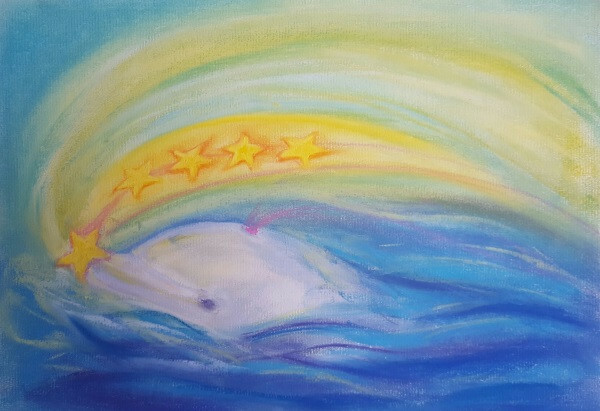 Soul paintings can be created for an individual, a couple, family, friends or to help you maintain a connection with loved ones who have passed away. Soul paints can also guide people to align more fully with their soul purpose and manifest greater abundance in their life. 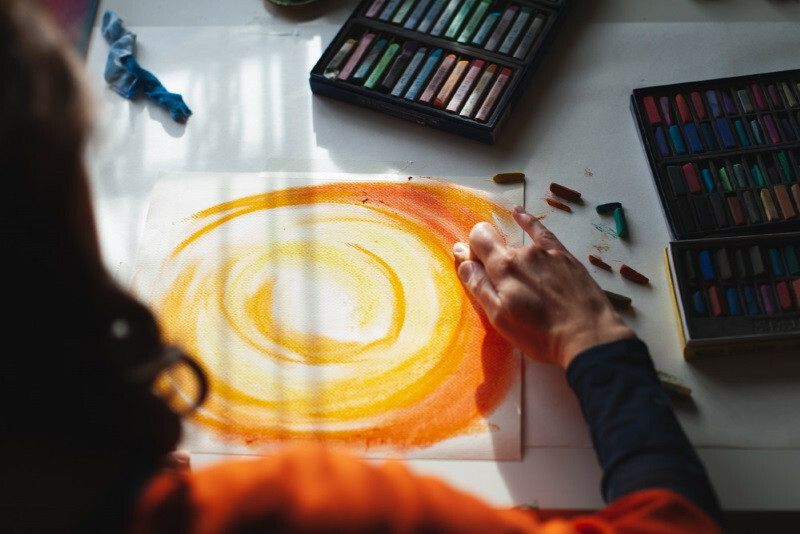 Soul paintings are often requested by individulas as a form of personal or spiritual guidance, to celebrate milestone occasions or to connect to loved ones who have passed over. People have benefited from a soul painting to guide them through changes in career and to manifest greater abundance in their life. What better way to celebrate the love and union of two unique souls than with a couple’s soul painting? Commissions can be created for weddings, anniversaries or any other occasion in the life of the couple. A soul painting for the whole family is a beautiful way to show the profound bonds that exist within the family circle. 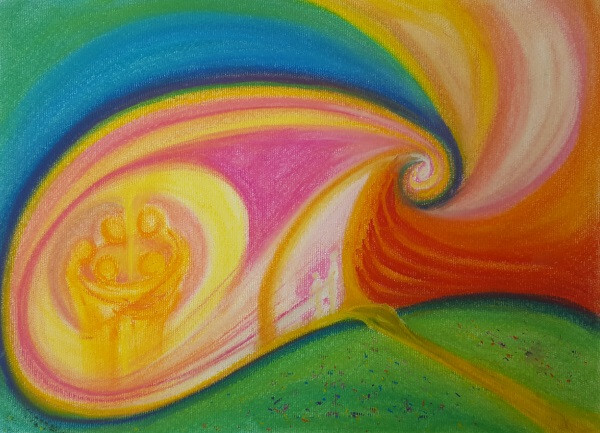 As our understanding of family becomes more fluid, you can choose who should be included in your family soul painting. Each soul is as present on day one, as after many years. Soul paintings created at different stages during a person's life will reflect the changes and journey of the soul. A soul painting can celebrate the connection between a parent and child or it can reflect the love, joy and gifts within the child. Many souls change the lives of all they connect to within a very short time. 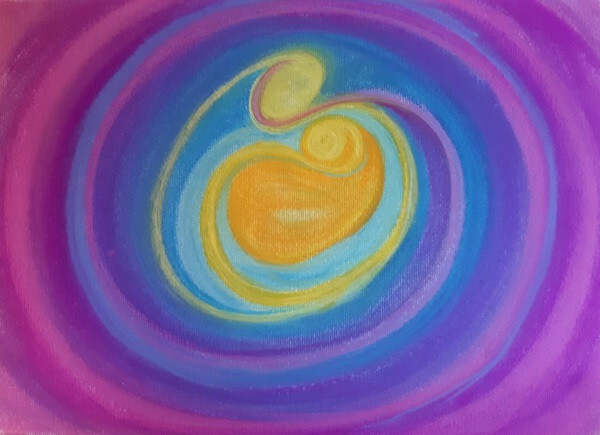 Sometimes a soul develops briefly during pregnancy or may only stay a while after birth, but we can always celebrate them in a soul painting or include them in the family soul painting. Doing so offers a chance for a family to connect with their loved one in a new way. 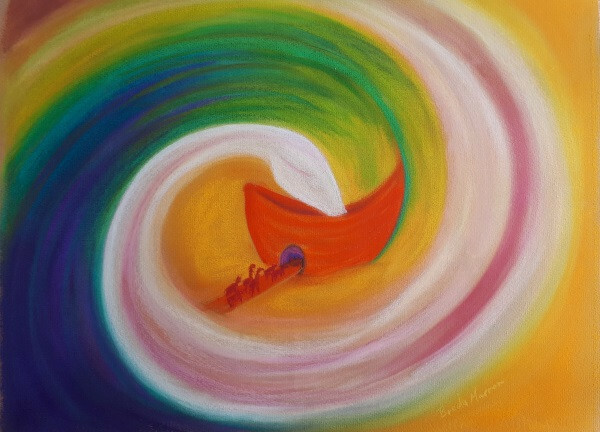 Breda experienced personal healing through soul paintings, after her own miscarriage. She shares more about this experience in her blog 'How it all Began'. 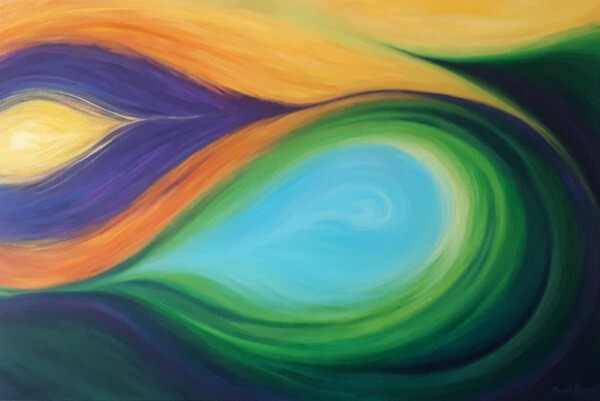 Breda is able to offer healing through soul paintings to others who have experienced the often unseen grief of a miscarriage or early loss in pregnancy. The name of the mother and date, or year the soul entered the world, is all that is needed to create this type of soul painting. "Our soul drawing is very special to me. Breda has captured in so many ways the essence of my connection with my baby daughter. It's a beautiful drawing, so warm and so healing. I love the drawing. It captures so much of Olivia's and my story - our lives together. Sometimes when self-doubt creeps in, I look at our picture and I feel a little grounded by it. There is significant comfort and healing in having every member of your family present and accounted for."